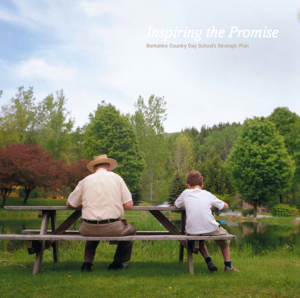 Berkshire Country Day School’s Board of Trustees is composed of current and past parents, alumni, and faculty. The Trustees serve as the guardians of the School’s mission, are responsible for ensuring that the mission is relevant and vital to the community that BCD serves, and monitor the success of fulfilling the mission. To this aim, the Board takes the lead in strategic planning efforts and stewarding the School’s resources – financial and otherwise. On behalf of the Board of Trustees, welcome to Berkshire Country Day School! Our school offers families who have chosen to live in and around the Berkshires an incredible education that’s quintessentially “The Berkshires”—intentionally balancing a comprehensive, challenging curriculum with the culture and spirit of the region we all call home. As a trustee and former BCD parent, I have enjoyed a front row seat to the BCD experience. I am fortunate to be able to continue working with a close-knit community of families, faculty, staff, and fellow board members, all deeply committed to our shared values of Originality, Quality, Respect, Sustainability, Community, Wellness, and Citizenship. This past July, Interim Head of School Mark Segar joined our community. With his deep passion for independent education and great enthusiasm, having him in place for the 2018 2019 school year will provide a great opportunity. Head-of-School Elect Jenifer Fox will join BCD in July, 2019. Her national reputation as an educational leader will be a perfect fit for our school. Mark and Jenifer will begin working together throughout this school year to ensure the smoothest possible transition. If you are a current parent, thank you for believing in our mission and entrusting our school with your child. If you are a current teacher or staff member, thank you for all you do for this incredible community. And, if you are family interested in BCD, or a member of the Berkshires community, I strongly urge you to come for a visit. I promise that you will be inspired by what you find here!